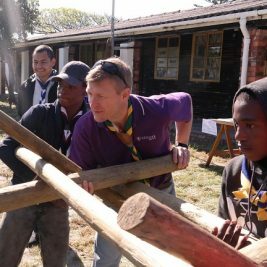 SCOUTS South Africa is saddened by the news of the loss of at least 13 Sherpa’s in the recent disastrous avalanches on Mount Everest. We are however able to confirm that the Chief Scout, Mr Sibusiso Vilane, and his companions were safely at base camp when the terrible incident occurred. The Chief Scout is awaiting a suitable weather window to proceed with their ascent. He has requested that we pass on his best wishes, thoughts and prayers to the climbers and their families who have been so tragically impacted by the avalanche.